This is only a small slice of the vaccine issue, but it is a dramatic finding. We know public health officials would never discourage people from getting flu vaccines. However, it is amazing that we do not see promotion of something so basic to insure children have a robust and healthy immune response, such as promoting the vital importance of vitamin C and vitamin D adequacy for the anti-viral flu response. 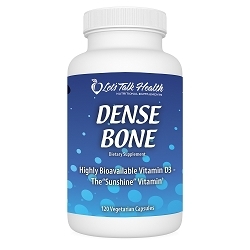 It is well known that 70% of children in the United States lack optimal vitamin D. It is obvious that public health in the United States is more about protecting vested interests and antiquated paradigms of health than truly protecting the public health. This goes for us adults as well. 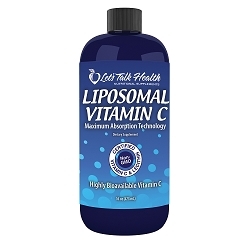 Many have utilized our best-selling Liposomal Vitamin C and Dense Bone – our Premier Vitamin D3 formula to insure an optimal amount of vitamin C and D to assist in many health areas – including a stronger immune system. In a just-published shocking study virology researchers at the Erasmus Medical Center in the Netherlands have demonstrated that a regular flu vaccine in children actually worsens a key aspect of their flu-fighting immune system.This research was not conducted by vaccine-disliking scientists. Rather, it was conducted by pro-vaccine researchers who have spent their careers trying to develop better vaccines. While the study group is rather small, it involves highly advanced scientific evaluation of the immune system. The researchers collected blood from 27 healthy, unvaccinated children with an average age of 6 years old, and 14 children with cystic fibrosis who received an annual flu shot. The unvaccinated children were found to have a superior immune response, giving them broader protection against what they might face in an actual flu season, including pandemic strains . Healthcare Alert: Over Prescribed and Over Spending?